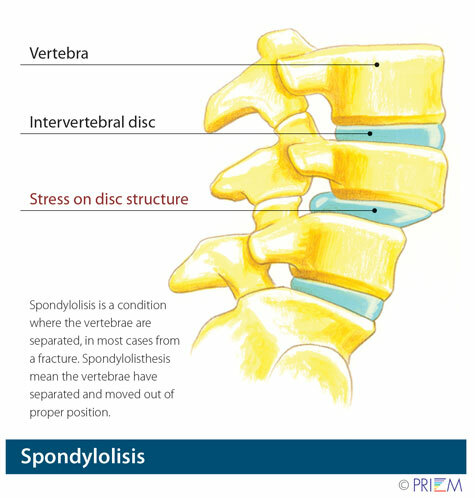 Spondylolysis relates to instability of specific bones in the low back. It a very common cause of back pain, particularly in adolescents. Gymnasts who perform routines that bend and arch the back are often victims of spondylolysis or spondylolisthesis. Spondylolisthesis and spondylolysis are caused by joint instability in the low back. 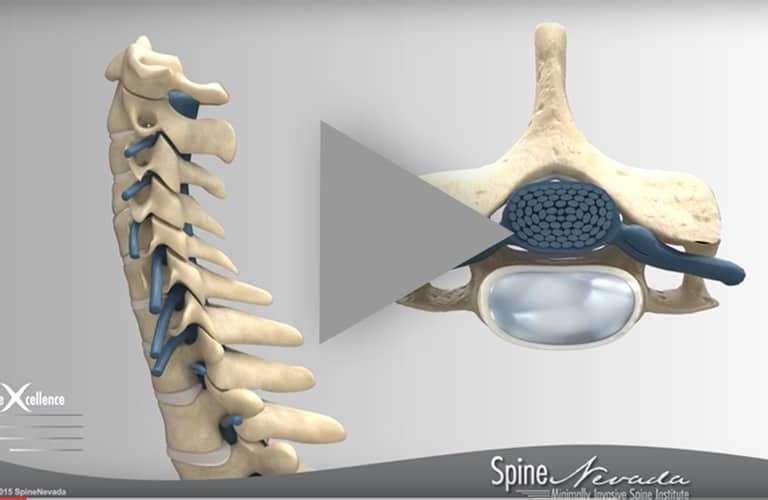 The rear part of spinal vertebrae has facet joints that act as hinges, allowing our spines to twist and bend. Sometimes, however, the posterior element can crack. Either from heredity or wear and tear, part of the posterior element called the pars interarticularis can crack, causing the vertebrae slip forward out of its correct position. Spondylolysis occurs when the PARS hinge is cracked, but the vertebrae is still in its correct position. Spondylolisthesis occurs when the cracked PARS has allowed the vertebrae to slide forward out of its correct position. 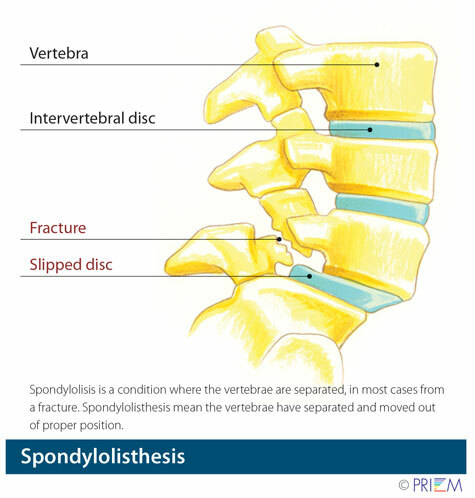 If left untreated, spondylolysis can lead to spondylolisthesis. Interestingly, in many cases, spondylolisthesis may have no symptoms, so most people may not know they have it. Back pain is the most common symptom, particularly in the lower back. This back pain may be mistaken for a muscle strain. Muscle spasms that occur as a result of spondylolysis may cause an overall feeling of stiffness in the back and may effect posture. 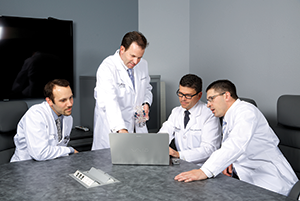 Conservative treatments should always be considered first when treating spondylolysis. 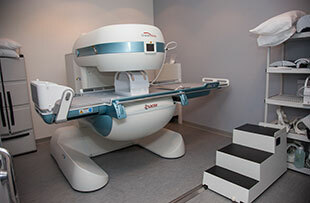 Nonsurgical treatment methods include resting and refraining from usual activities, taking anti-inflammatory medication, and incorporating a stretching and strengthening program. 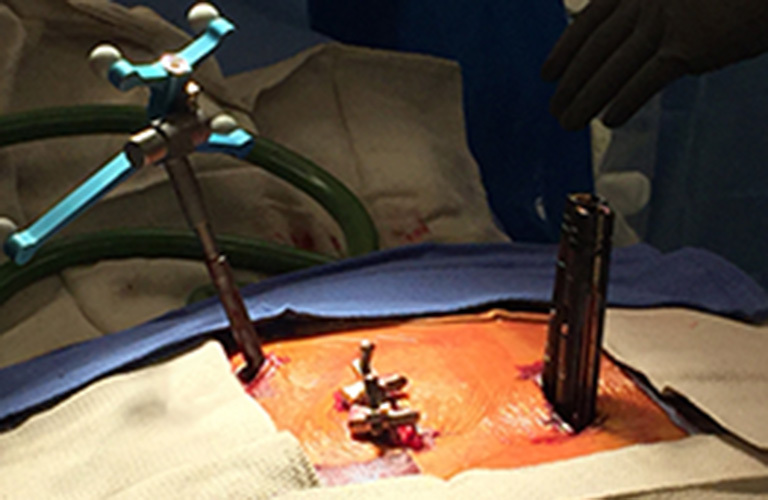 While ligaments and muscles can help hold the vertebrae in place, over time, surgery may be necessary to install surgical instrumentation or bone grafts that lock the vertebra in place so that it does not slide out of position and damage the spinal nerves. 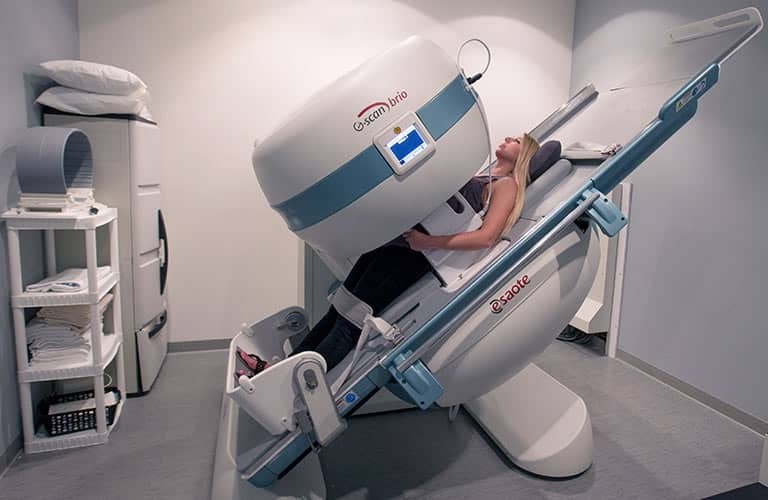 Surgery may involve a fusion and/or screws and rods. How do I know if I am at risk for spondylolysis? Those with a family history of spondylolysis or weak vertebrae are more susceptible to developing the condition. Also, athletes involved in activities that place a great deal of stress on the back, such as football players and weight lifters, are at greater risk for fracturing the vertebrae, encouraging slippage.